Few doctors speak of the dehydration allergy relationship. The solution is so simple, rehydration. To improve the rehydration process, providing electrolytes helps the body to increase the rate at which it re-hydrates. Allergies are an inflammatory response of the mast cells and basophils (white blood cells). 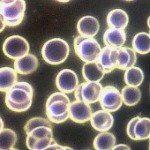 Both mast cells and basophils contain histamine. Histamine is one of the things involved in an allergic attack. When dehydration, your histamine levels are elevated. This results in suppressed white blood cell production, the very things that help you eliminate allergy responses. When we drink water, we dilute the histamine and reduce the symptoms of the allergy. When we add unprocessed sea salt, we get the added antihistamine effects of the salt multiplying the benefits of the water. 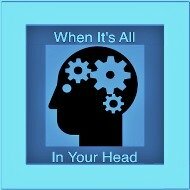 Is a holistic nurse, practicing as a pool nurse in several hospitals, one of the most common symptoms seen in hospital patients was allergies. The easy solution that almost everyone got was an antihistamine. As a holistic nurse, I was always on the outlook for natural ways to do what medicines and supplements did. Allergies were a no-brainer, simply give the natural antihistamine, water and the allergies would disappear. Great idea but it was slow to produce beneficial effects for most and for some, it did now work. This is for multiple reasons. 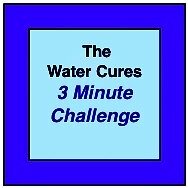 Just like the pharmaceutical antihistamine, it would take about an hour for the water to get past the stomach and into circulation where it could do any good. If food was consumed or was the cause of the allergic reaction, it would take even longer. So, the first issue, how to speed up the process. Based on the available research, there are a few mechanisms that allow water to work to alleviate the allergy symptoms. The science pointed to diluting the histamine as being one reason. But there was an even more important reason that the research pointed to but is rarely recognized. Dehydration in the body is managed by histamine. This means that by providing water to the body to distribute to the cells, the body slows down or even stops the histamine production in relation to the allergic response. But, the problem was the wait time. When someone is dehydrated, they cannot simply rehydrate by drinking more water inside of a few minutes. It is like your grass when there is no rain or water for some time. If you run the hose full open on hard dry ground, it will not adequately water the roots, where the water is needed. We need a gently sprinkle over an hour, repeated over a few days to get the water penetrate deep into the soil. Likewise, it takes time to restore and rehydrate our bodies. That is, unless you speed up the process and use a few tricks of the trade to ensure you are properly hydrated. When it comes to dehydration allergy, this will also shorten the time it takes for relief. 1. Drink Only Water: Rather than any other fluid, drink only water. Purified or filtered water will be best. If you drink tap water, you will be trading one problem for another when considering the chemicals tap water is treated with. 2. 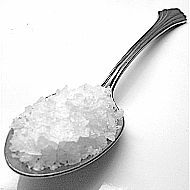 A Pinch of Sea Salt Dissolved in Your Mouth: Use a ratio of salt to water of about 1/8th tsp of unprocessed sea salt, dissolved in your mouth for every 16 ounces of water. Take the salt before you drink the water. This provides both the electrolytes and numerous trace minerals that we need for optimal health. 3. 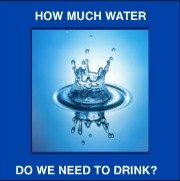 Drink Enough Water Each Time:On a daily basis, drink half your body weigh in ounces each day. Divide that amount by 5 or 6 to get your individual dose of water. Never drink more than 32 ounces in 2 hours. Never increase your water intake with out the salt. Or, another way to measure it would be to drink 10% your body weight in ounces each time you drink. Start out drinking twice a day and work up to 5 times a day. Since most drink the entire amount at once, many have found it best for the water to not be too cold. 4. Drink Only Before and After Meals: This is simple. When we drink only water, it can pass through the stomach and get into the gut rapidly. Once there, it can be absorbed and come back into the lining of the stomach where it prepares the walls of the stomach for the soon to be eaten food. Once prepared, you will not only get the best pleasure out of the food, you will get the optimal nutrition. More importantly, the water can dilute the stomach acids and decreast the ability of the body to best obtain all the nutrient in the food. Ideally, you will drink on awaking. Then drink 30-45 minutes before every meal and 2 hours after. Finally, drink before bed time. 4. Drink Your Entire Daily Dose: This is perhaps the most difficult. 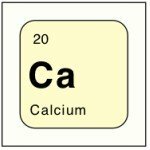 Most people start with the AM and PM dose of water. If you are dealing with allergies, it may be best to drink the entire dose for a few days. Once you have a routine, it will be easy. And don't worry about extra trips to the bathroom. 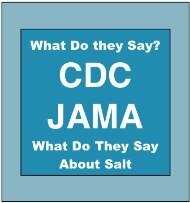 Most find that they make less trips once they start using the salt before drinking the water. 5. Make it a Friends and Family Affair: It is easier to maintain a health regimen if we do it as a community. Getting family and friends involved and participating in the process will help us to do it and stick with it until it becomes a habit. 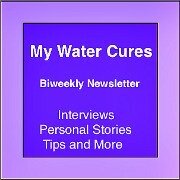 Try the Water Cures Protocol for Dehydration Allergy.